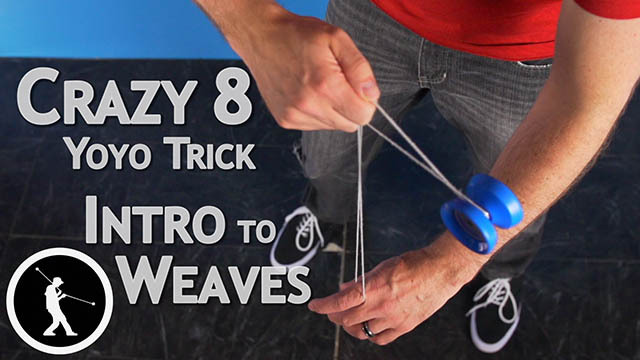 Learn the weave yoyo trick Crazy 8. 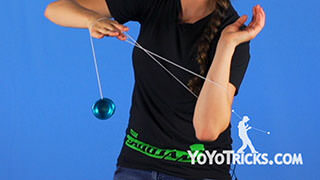 Crazy 8 Yoyo TrickThis trick is called Crazy 8 and it looks like this. 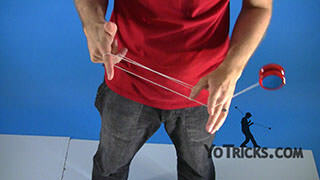 So as you can see this trick involves a weaving motion and there is actually a whole lot of tricks that involves a weaving motion and a lot of principles that we are going to teach you apply in pretty much the same way, so that was Revolutions which a lot of people struggle with. 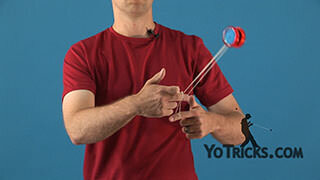 This one right here is called Fusion Rolls which is really just Crazy 8 done with your opposite hand. 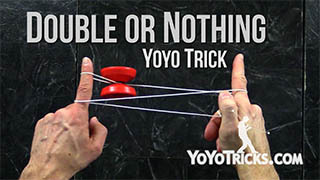 Again if you really perfect this trick then you are going to find learning those other tricks and perfecting those will be a lot easier as well. 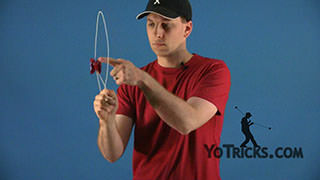 So the first thing you will want to do when you are doing Crazy 8, is you want to get into your One-and-a-half mount, and then you are just going to turn your hand over and hook onto these front two strings. 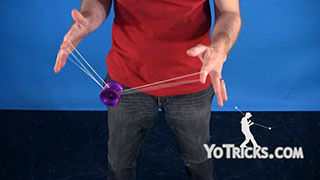 Then you are just going to weave on either side of this string that is connected to your opposite hand. So the first thing you will want to keep in mind, is that when you weave you want to do the same number of weaves on each side, so if you happen to do two rolls behind the strings, then you are going to have to do the extra roll in front of the strings in order to get the twists out that you will see. Now the other thing is you want to make sure you are always doing the rolls in the same way. 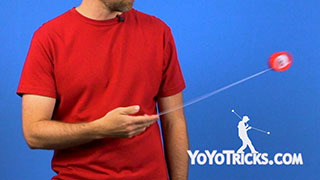 What I mean is you are going to start by weaving in front of the string and then over the top and that will get you to the back and then you want to start in the back and again go over the top of the strings which will get you to the front. So as long as you are doing the rolls in the same way and as long as you are balancing them out on either side, then you will end right back up in your One-and-a-Half Mount. Which is what you want. 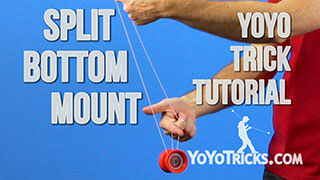 So you may find that when you are first learning this trick that you can hit it once or twice and that will maybe give you the impression that you really mastered it but you want to be able to do this trick in such a way that will you can continue to do the trick as long as you want. So I am going to give you a couple of tips that will allow to do that. 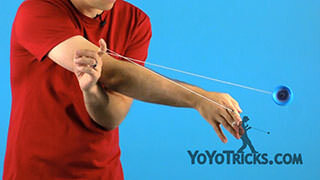 The first thing is that when you get the yoyo onto the string, you actually want to turn and open your elbow up just a little bit and what that will do is that will allow the yoyo to do the weaves without the yoyo hitting your wrist and if you keep you elbow to your side like this and you do your inside weave, it will probably hit your wrist and that could be be a major problem. 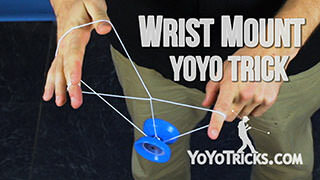 The other problem that will happen a lot, is as you are doing the weaves, especially when you start to get into multiples you may find that the yoyo just starts going off plane or the spin starts dying so you can see mine is started to twist and lean a little bit, you may find that the yoyo just isn’t spinning as long as you think it should. 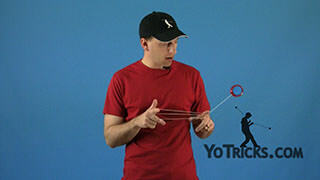 So there is a couple of tips I can give you that will solve that problem as well. 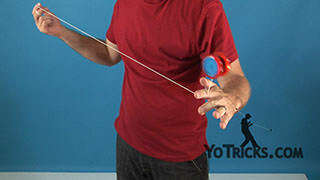 So the first one is once you throw the yoyo, you can see you got a plane of the yoyo right here, and when you do the weaving motion what you want to do is you want to pick a point in space that’s right in line with the groove of the yoyo right here. 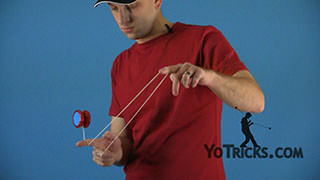 So that point can be right here, it could also be up, it could be down, but it’s got to be in line with the groove of the yoyo. So what I am going to do is I am going to pick a point that is just right here. 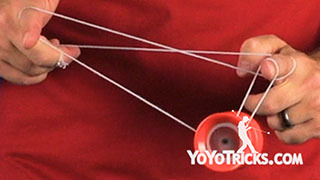 As I weave the yoyo back and forth what I want to happen is I want the yoyo to pass right through that point every single time. 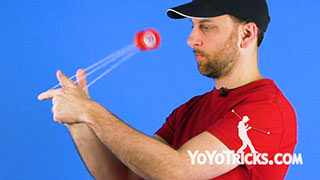 As long as you do that then the yoyo will pretty much stay on plane, and you will have fewer problems with the trick. 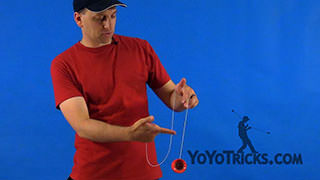 If you happen to be trying to hit a point that is over here even though the groove of the yoyo is pointed this way, then what will happen is this. 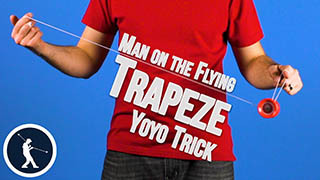 (Chuckle) The yoyo will go off plane, it will start to bend and twist, and what it’s doing is it’s trying to line itself up with the actual point in space that you are using as you do the trick. 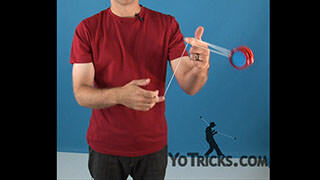 So that’s a pretty important part of this trick is getting that just right. 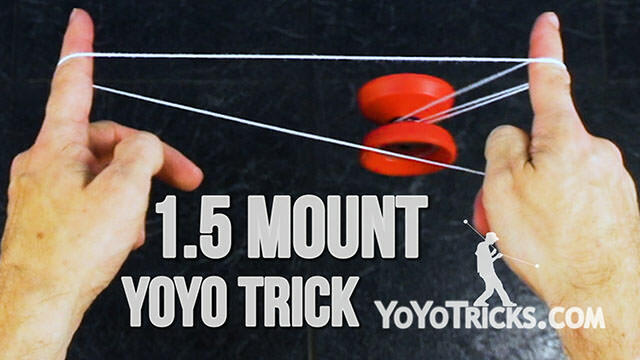 Now the second thing you want to keep in mind is once you have that point when you are getting the yoyo to pass through it, you want the yoyo to pass through in such a way that is pretty vertical as it moves through it. You don’t want it to go through it at a really aggressive angle because again that will cause the yoyo to lean when you do the trick. So again if we were thinking about this point right here, you can see the yoyo is pretty vertical when it passes through the point and my spin isn’t dying and the yoyo pretty much staying on plane as I do the trick and I can go pretty much forever as long as I have got spin. So again once you got those different techniques down you can apply these to other weaving tricks, especially Revolutions, a lot of people have a hard time with that. 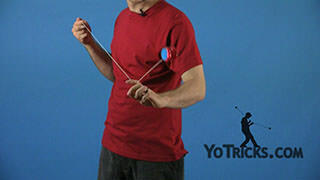 If you can master those last couple of techniques, those will apply as well. So that is Crazy 8.